Small and Medium Business Corporation (SBC) Youth Entrepreneurship School in Korea will attend MWC 2019 to run a joint hall with 9 students and graduates. Nine companies run by the graduates and students of Youth Entrepreneurship School including Smart Wellness, RGB Lab, Asvals, VOIXATCH, UFirst, SLM, Archidraw, Artda, and PurrSong will showcase their products. SEOUL & BARCELONA--(뉴스와이어) 2019년 02월 25일 -- Small and Medium Business Corporation (SBC) Youth Entrepreneurship School in Korea will attend MWC 2019 to run a joint hall with 9 students and graduates. Nine companies run by the graduates and students of Youth Entrepreneurship School including Smart Wellness, RGB Lab, Asvals, VOIXATCH, UFirst, SLM, Archidraw, Artda, and PurrSong will showcase their products. Smart Wellness is exhibiting its smart toy ‘Cubroid,’ made by the combination of coding and AI. RGB Lab will introduce its LTE network-based autonomous driving drones. Its drone solution consists of the universal mainboard, on-ground control program, and LTE network control. Asvals will showcase the solution of which the small-sized drone and GIS technology are integrated to collect the geographical information on the facilities and structures. VOIXATCH will exhibit its one-unit earset smartwatch that can be separated in the ring bezel part of the smartwatch, enabling the earset to be used alone. UFirst will exhibit its neckband hearing set that can notify the direction of high-pitch sound by vibration for hearing-impaired people. SLM will introduce its bi-directional laser measurement device, unlike other laser devices that can only measure in one direction. It not only converts the distance units but can also convert the numbers into volume. Archidraw will be exhibiting its 3D space scanner. Integrated with smartphones, it can scan the space inside the room and make blueprints, and users can place virtual furniture, wallpapers, and floor in their taste. Artda will show its online artwork trading platform. This platform connects artists and customers. PurrSong will show its smart pet toilet which automatically disposes pet’s excretion by sand and excretion activity monitoring app that manages the animal’s health and device. 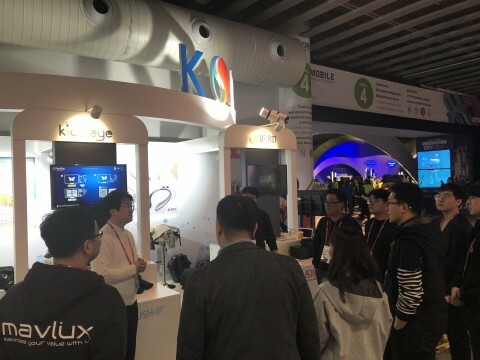 SBC Youth Entrepreneurship School continuously introduces Korea's competent startups by encouraging startup companies to participate in the exhibition activities. Its main mission is to help the companies find new and overseas sales channels.